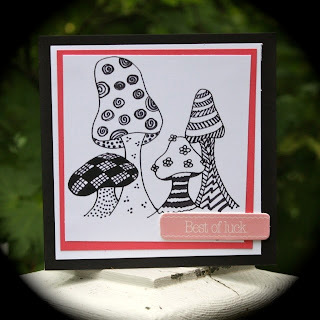 Queen Kat Designs: Mushroom Garden Digital Stamp! 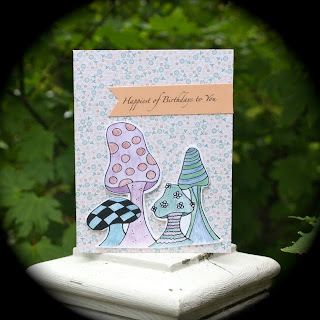 I love this stamp by Vikki Douglas at Queen Kat Designs Stamp Company, called Mushroom Garden. I created two cards with the same stamp. It has a Zentangle feel to it. 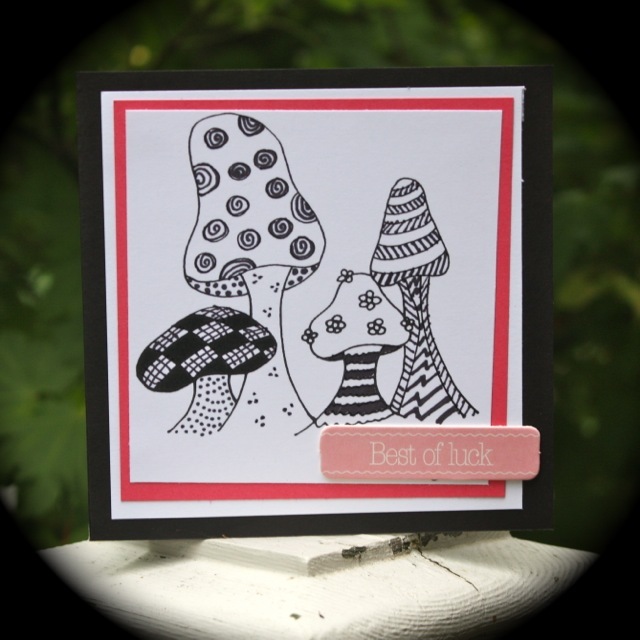 The top card was made using by very thin black sharpie pen to add even more zentangle designs to the original. I then mounted the "colored" stamp on hot pink card, white card and a black card stock card. Finally I added the sentiment. Very fun and relaxing! The same design was colored in the second card, using Faber-Castel Metallic Pencils. What a fun contrast! Hope you enjoy these cards and be sure to check out the digital stamp category at QKD! I love them both but the first one is stunning!